Wow. Very cool and what a contrast against the blue sky. Thanks for sharing! This is really cool. 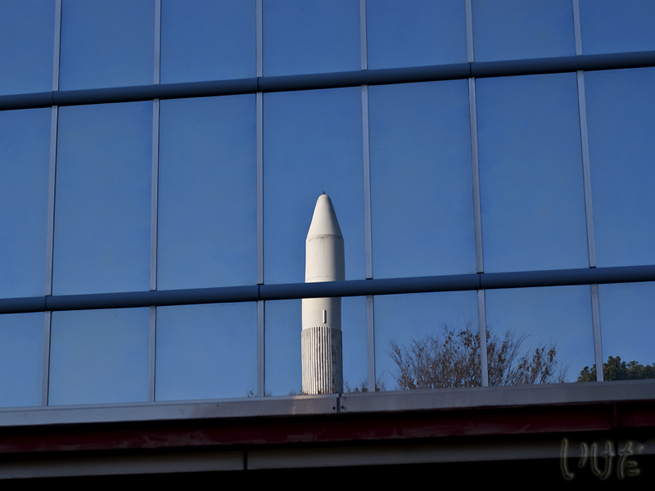 I like the lines of the window as they contrast two the rocket. Great blue sky. Thanks for sharing.